After refreshing the look and feel of the Brisbane Powerhouse identity to reflect ‘adventurous arts’ and ‘the vibe of the building itself’, the website needed to also uphold this vision. 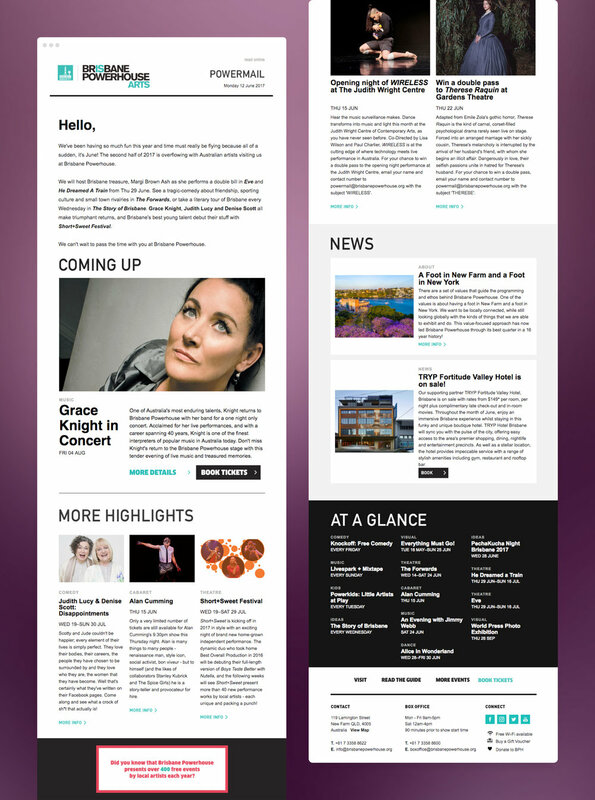 So we built a fully responsive site that allowed the program content to shine. 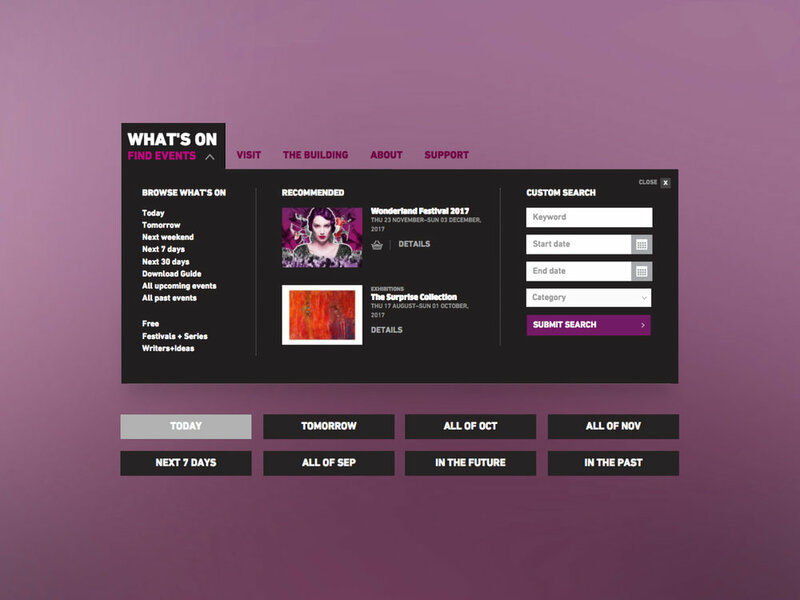 A comprehensive event directory including advanced search features make finding what you're looking for a breeze, and there's a plethora of surprises throughout the site to inspire people to try something new.